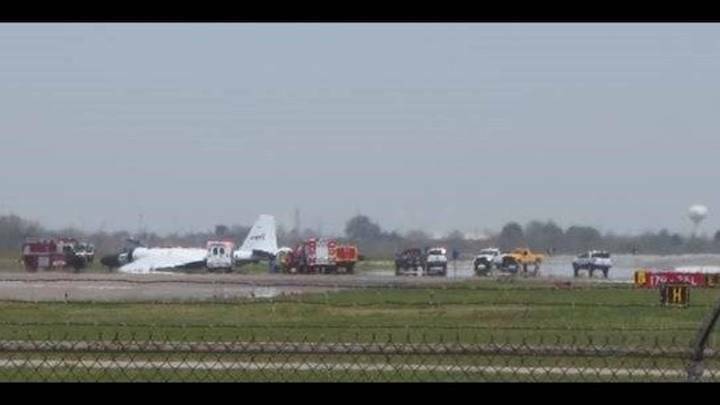 HOUSTON - A NASA WB-57 high altitude research plane experienced a malfunction with its landing gear during takeoff at Ellington Field on Tuesday afternoon. There were conflicting reports on whether the malfunction happened while the plane was still at the airport or while landing. 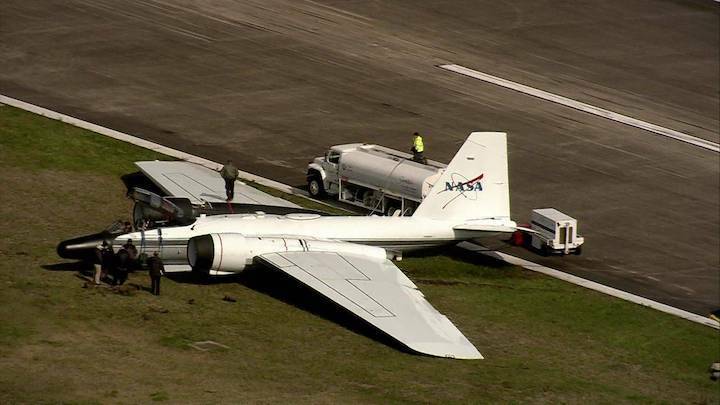 However, a spokeswoman for NASA later confirmed that the plane experienced a problem with its gear during takeoff and had to aport mission to takeoff. She said the plane had to be towed back to the hangar. NASA Operations Division confirmed there were two crew members on board, the pilot and sensor operator. There were no injuries reported. A viewer, John Gladu, said he witnessed the incident and shared a photo with KPRC that showed emergency crews surrounding the plane. The extent of the plane's damage is unknown. The research plane is one of three at the Ellington Field.